Slovenia is in the Euro-zone. As a country, it has a reputation for being comparatively inexpensive. 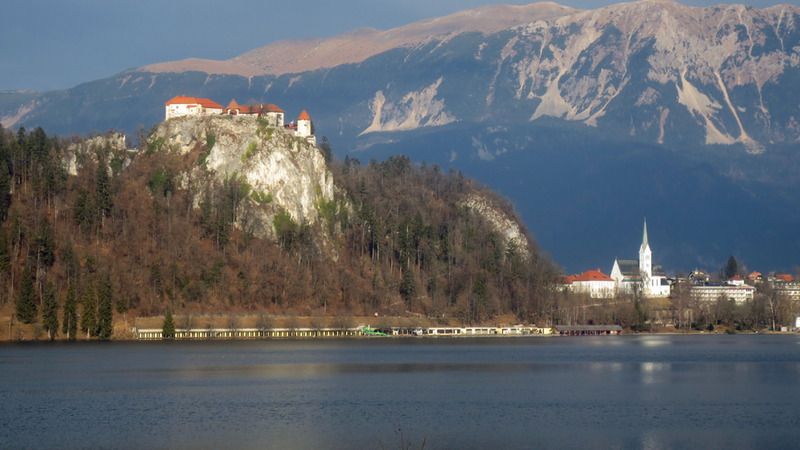 Bled and Ljubljana are more expensive than other parts of Slovenia, but costs are pretty good. Although they have been creeping up in recent years. I will mention some in the reviews. Try to have change in your purse or pocket. I really don’t know why, but the shops are always looking for exact change. This is not unique to Bled. Finding the right coins is almost a national sport. This is not helped by the ATMs that insist on spitting out €50 notes which are often held in contempt in some shops if you are making a small purchase. The two most easily found banks are Gorenjska Banka branch office which has moved from the Park Hotel building to the new Mercator shopping centre. Kajuhova cesta 1 with new opening hours, Monday to Friday: 8:00 to 19:00 Saturday, 08:00 to 12:30 and closed Sunday. SKB Banka in the Gadafi shopping centre is much less convenient time-wise. It is open Monday to Friday 8:30 to 12:00 and 14:00 to 17:00, Saturdays and Sundays closed. But don’t take that €50 note to the bank teller and ask for it to be changed – there will be a charge. You are now prepared with just about everything you need to know before you arrive. Let’s decide when is best to go.